Howard picked up a big win at home by beating North Carolina Central in overtime. 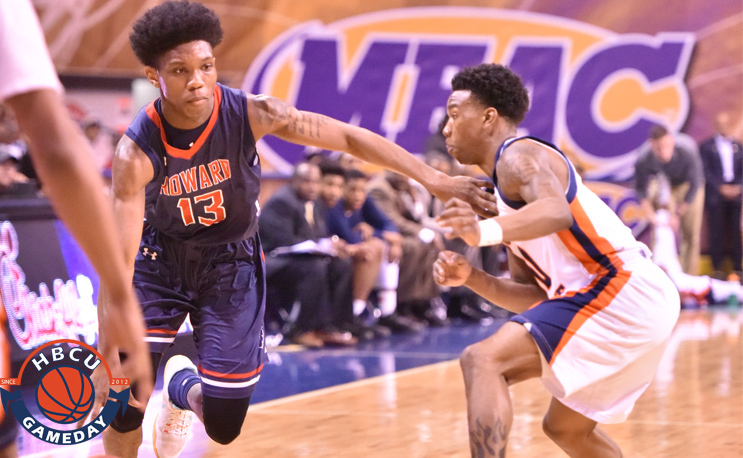 Washington, D.C.- Howard has found itself in several close games since MEAC play started earlier this month, but until Saturday they hadn’t found a way to turn them into wins. Saturday was a different story as Howard came up with a 84-78 win over defending conference champ North Carolina Central at home. Freshman R.J. Cole led the way for Howard with a game-high 29 points and added six assists for Howard (4-17) who picked up its first win in the MEAC. Sophomore C.J. Williams added 25 points on 11-for-18 shooting. NCCU freshman Reggie Garnder Jr forced the overtime himself hitting a jumper with 4.2 seconds remaining to tie the game at 74. Williams was the difference in the overtime, outscoring NCCU 8-4 by himself, to help his team to its first win of the new year and its second Division I win all year. Raasean Davis led NCCU with 19 points and nine rebounds, while Gardner scored 17 points playing just miles away from his hometown of Bowie, MD. The loss drops NCCU to 4-1 in the MEAC, putting them behind rival North Carolina A&T who survived a scare at Maryland-Eastern Shore. The opponents will be flipped on Monday when A&T travels to Howard and NCCU heads to MDES.